A salad made with “superfoods” from Chef Walter Staib. 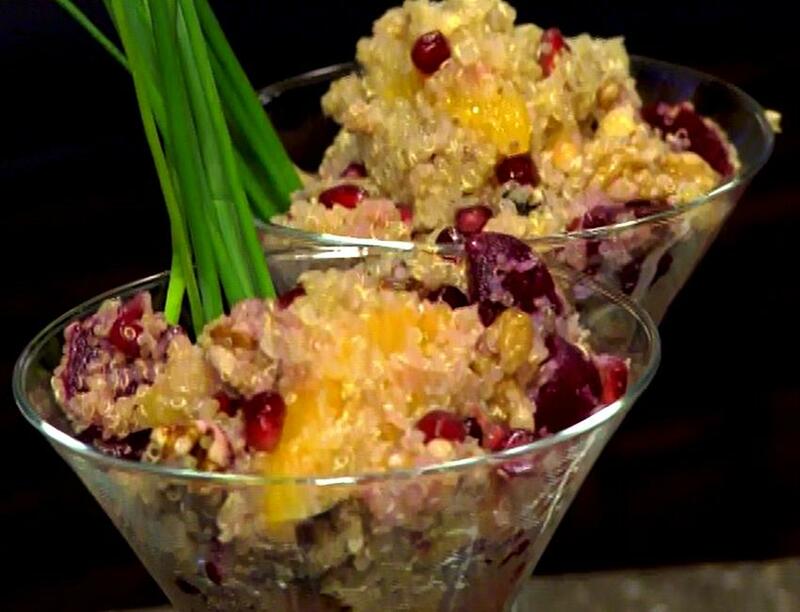 In a large bowl, toss the quinoa with the olive oil, Marukan Genuine Brewed Rice Vinegar, orange segments, freshly ground pepper, parsley and beets. Just before serving, add the pomegranate seeds and walnuts.